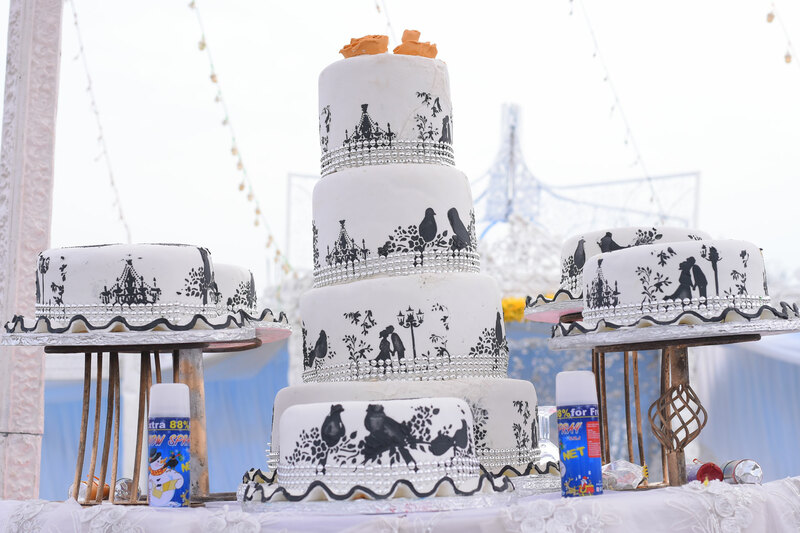 In order to bring a little pizzazz to your white cake, you can have romantic pictures drawn all over it. 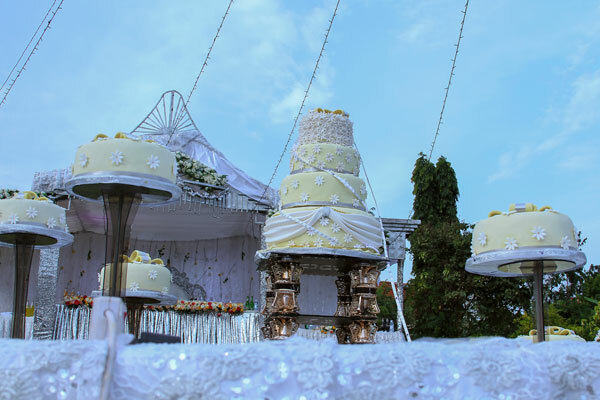 If you want to have enough cake to serve the guests and give away as gifts, you need to consider planning for a minimum of at least 10 cakes depending on how many guests you have invited and how many cakes you will give away. 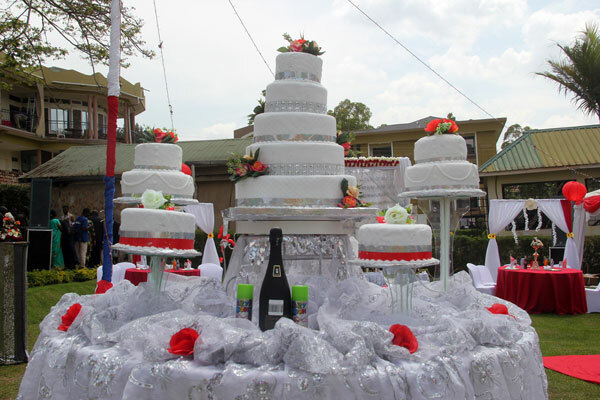 To break the monotony of white, one can include ribbons, flowers and other little amenities put on the wedding cake table, of a different colour. 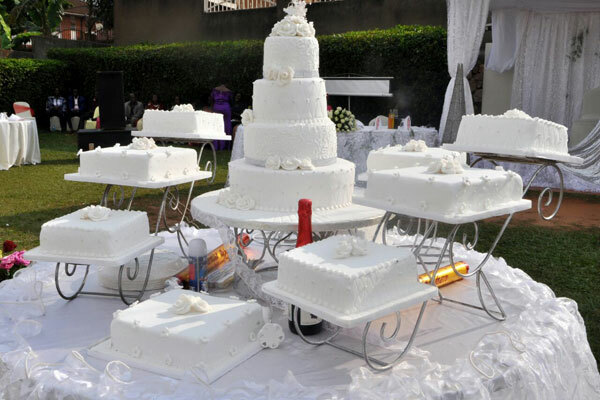 Consider making cakes in different shapes and sizes depending on what you and your spouse-to-be like or what defines the two of you. 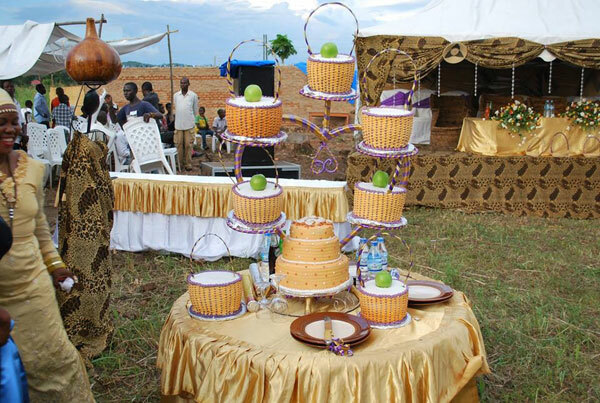 Cakes can be made in the shape of fruit baskets, a Bible, a football or any other shape. The tiers you set your cake on are just as important. Speak with your baker and find out the options available. 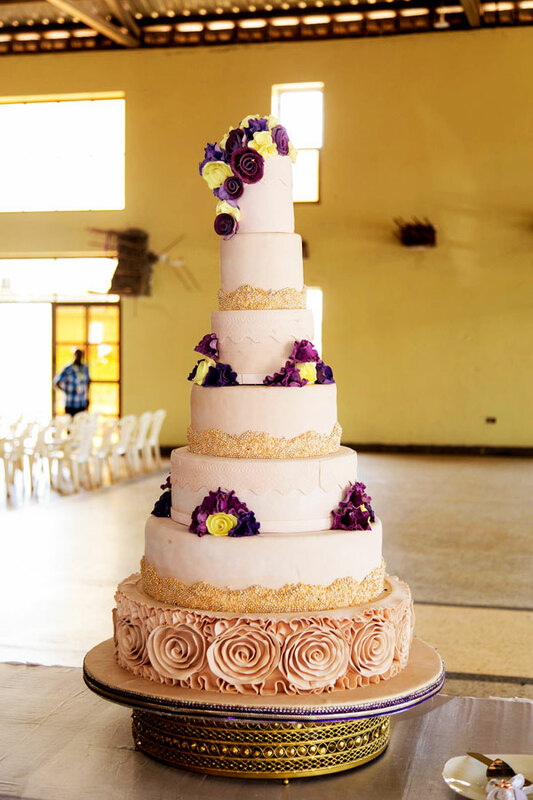 Sometimes the decoration on the cake can make it stand out, just like this cake that had yellow roses, orchids and gold sequins.